Today is Poinsettia Day. 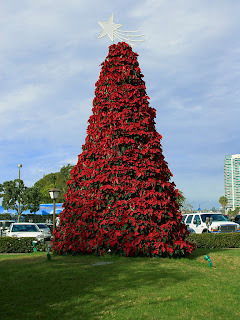 The poinsettia is really popular around Christmas. I remember as a kid having them most years but that all depended on what our cat at the time was like with plants and if we could keep it high and out of reach. Now doing a little research I found that Poinsettia's are not as harmful as I always thought. Poinsettia's are mildly toxic to cats. 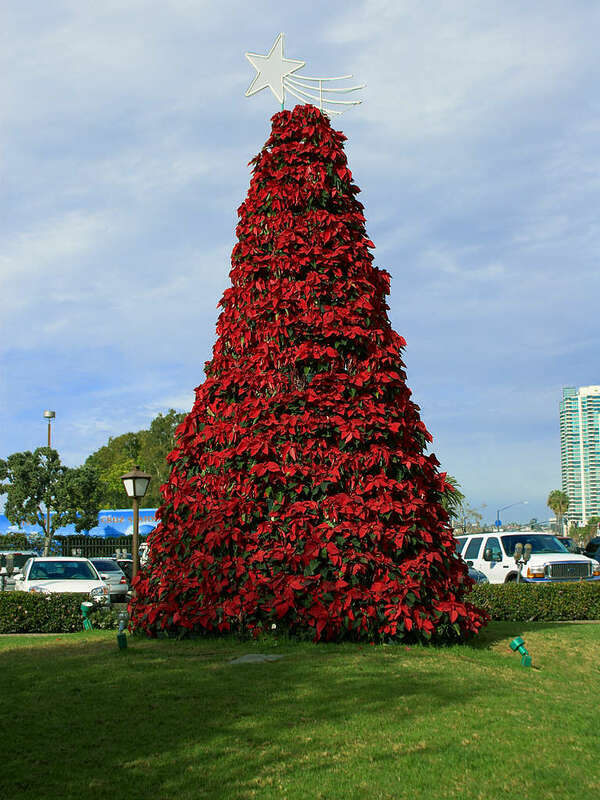 "The milky sap of poinsettias can cause irritation of the mouth and digestive tract. A cat that has consumed portions of a poinsettia may experience excessive salivation and vomiting due to irritation of the gastrointestinal tract, but this should clear up on its own. A little bit of Wikipedia info on the poinsettia. "Euphorbia pulcherrima, commonly known as poinsettia or noche buena, is a species of flowering plant indigenous to Mexico and Central America. The name "poinsettia" is after Joel Roberts Poinsett, the first United States Minister to Mexico, who introduced the plant into the US in 1828. It is also called the Atatürk flower"
Hello fellow Canadian Mom! Thanks for the follow! I am following you back. Feel free to get on my Motivational Monday Blog Hop tomorrow. Thanks for following me! I love your blog. :-) I've never heard of Poinsettia Day before. Thanks for stopping by! I'm now a follower. Legacy Family Tree Deluxe Review and Giveaway!